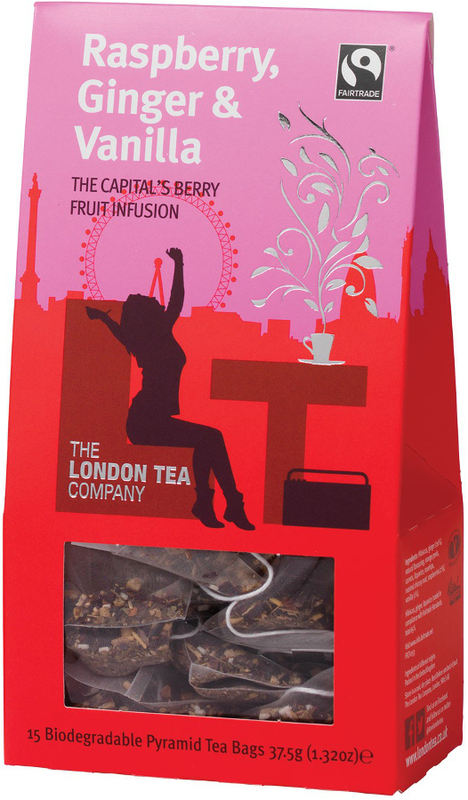 Give yourself a flavourful treat with this raspberry, ginger and vanilla tea from the London Tea Company. The hibiscus is combined with a wealth of natural flavourings to create a complex, bold and satisfying taste, as well as a smooth, warming feel. With liquorice, rosehips, orange peel, raspberry and more, each sip has a delicious hint of sweetness. The bold flavour is created with the aid of a pyramid shaped bag, which allows more room for ingredients, plus larger holes for water to pass through. This creates a great contact between the tea and water; bringing out the best possible taste during the brewing. The London Tea Company Fairtrade Raspberry, Ginger & Vanilla Pyramid Tea - 15 bags product ethics are indicated below. To learn more about these product ethics and to see related products, follow the links below. 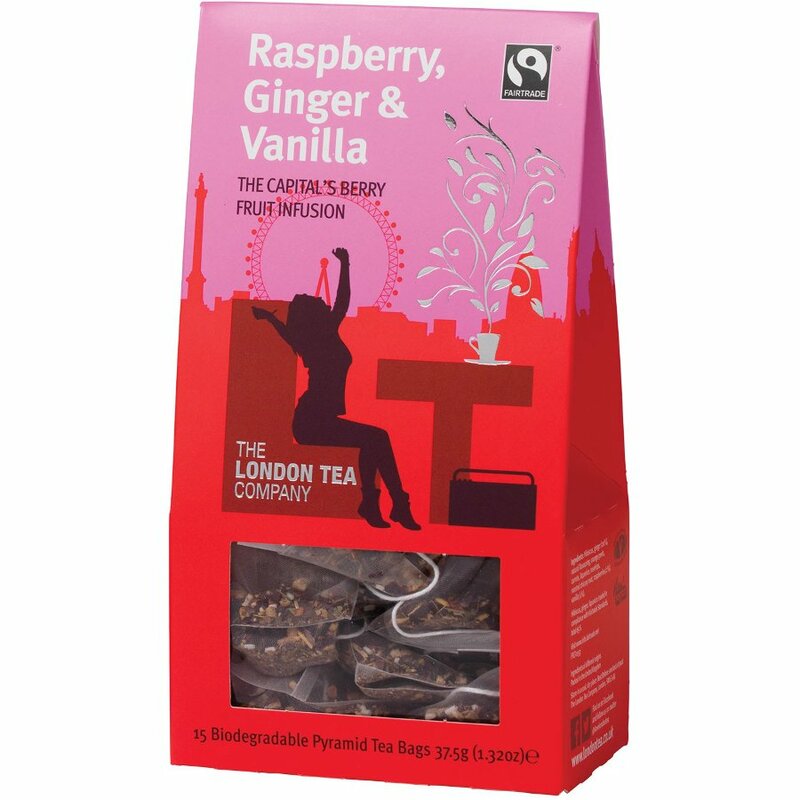 There are currently no questions to display about London Tea Company Fairtrade Raspberry, Ginger & Vanilla Pyramid Tea - 15 bags.